What’s wrong with school math? Here’s a short extract, and the whole is an indictment of the present system. So, you want to do a fraction subtraction. Here’s how, as a geometrical construction. You will need a piece of paper and a ruler. 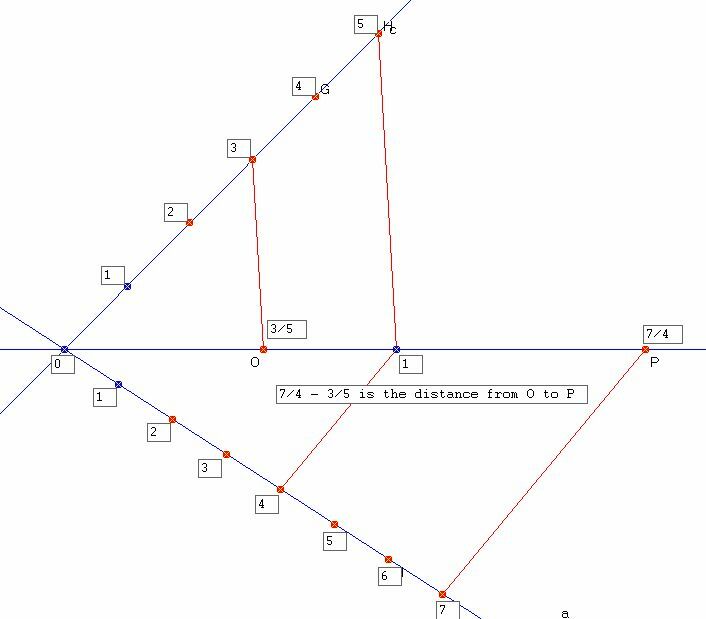 Draw three number lines through a common point, which is the zero. Pick a nice point on the middle line to be the 1, say 6 inches away from the zero. Label the other two number lines 1,2,3,4,5,6,7 at equally spaced points, scale completely immaterial. Now measure the distance with the ruler, and divide by 6 (if you put the 1 at the 6 inch point). A simpler version of this (2 number lines) can be used to locate the point on the number line corresponding to any (relatively simple) fraction. And I’m sure she’s not the only one ! I don’t like math. I haven’t liked it for as long as I can remember but my mother said there was a time that I did like it and was good at it. Whatever. If it was so long ago that I can’t remember that I was once good, then it won’t help my self-esteem in the moment at hand. Q: Who needs polynomial division? A: In high school, NOBODY ! 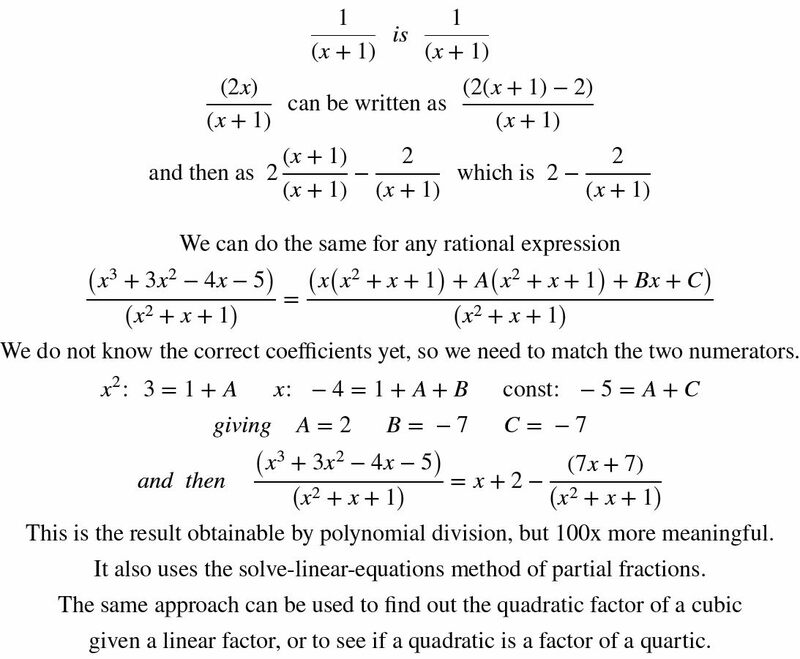 The same result can be obtained in a more logical and meaningful way, by considering the structure of polynomial and rational expressions. They tell you that conic sections are exactly what the words describe : Slice a double cone, the edge of the slice is a conic section, parabola, hyperbola, ellipse. 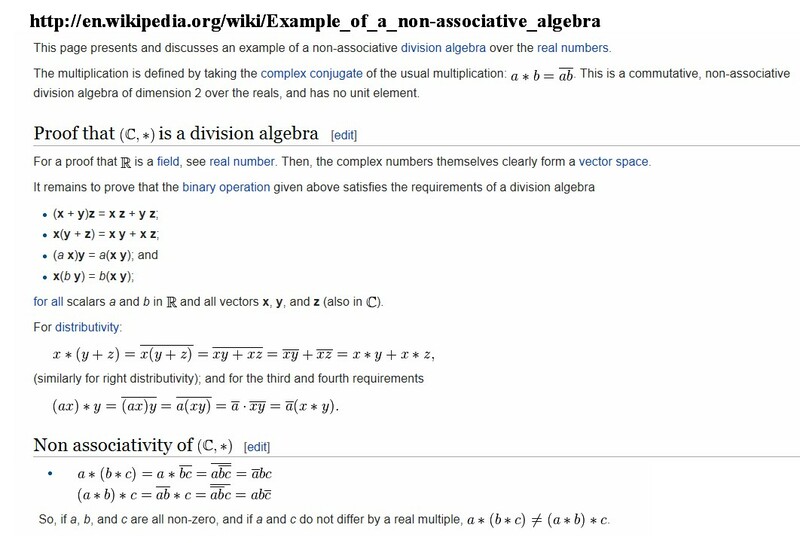 Then they tell you that y = x^2 is a parabola, or that all second degree equations in x and y are conic sections, or worst of all, they come up with the focus/directrix definition. NOBODY shows you how to get the equation from the sliced cone !!!!!!!!!!!! From the previous post (it is now the next one !) it can be seen that projection of the unit circle from the double cone vertex onto the slicing plane will give a second degree equation. 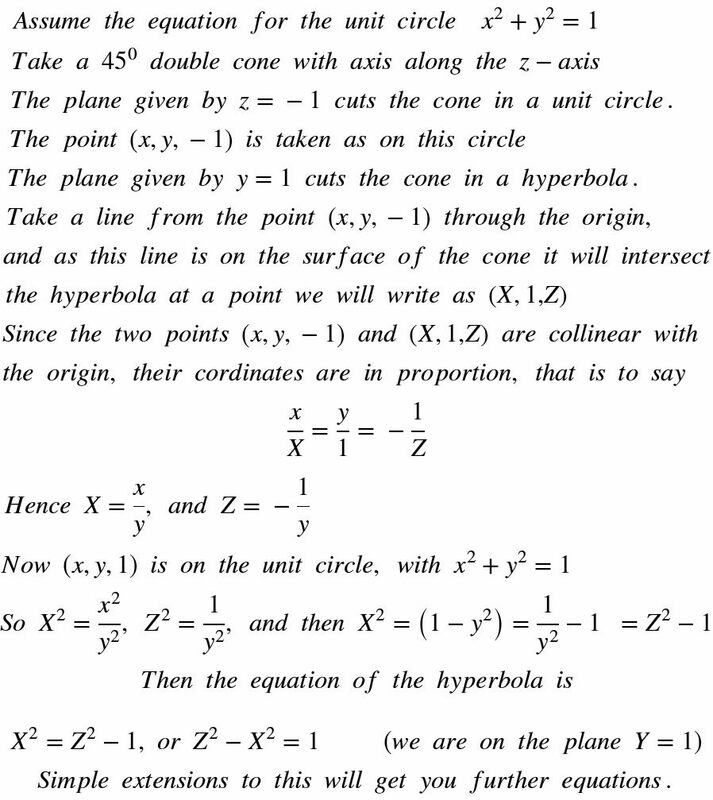 What a nice lead in to these equations, and also projective geometry, and to 3D xyz stuff. The focus/directrix definition is so “rabbit out of a hat” that it’s time for its retirement. 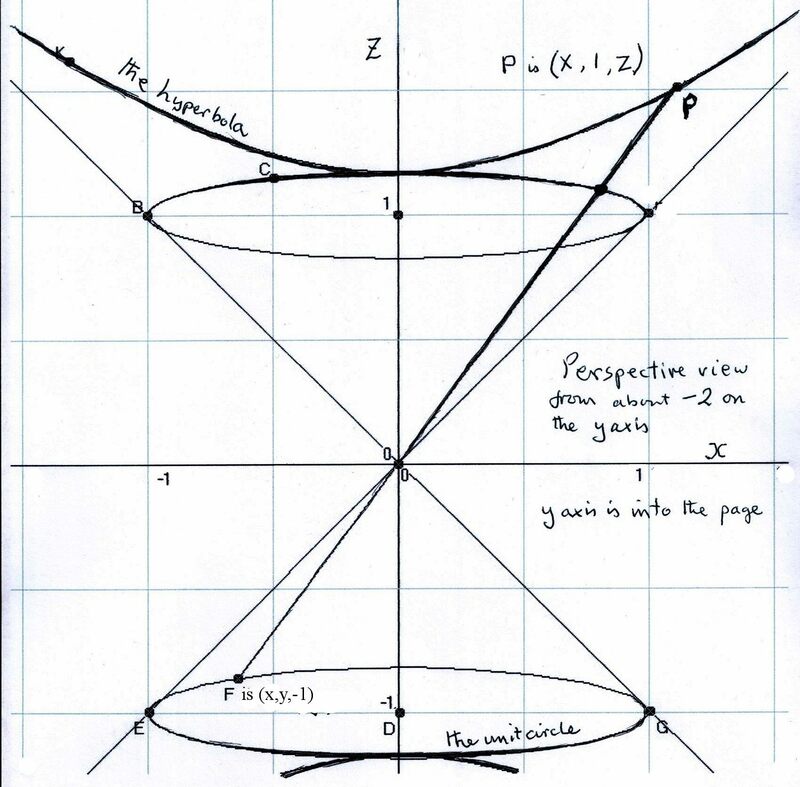 In any case, what use is the focus except for a parabola. And the directrix ? Surely “Directrix” is a female director !!!!!!!!!!!! What number added to 7 is equal to 9? Well, I’ve been involved with math for too long, obviously, as I genuinely thought that the only number equal to 9 was 9 itself. If you got the answer (c), you didn’t read the question!!!!!!!!!!!!!!!!!!!!!!!!!!!!!!!!!!!!!!!!!!!!!!!! I hope that the computer system used to present these tests can cope better with “strange” symbols. I looked as well behind the 7 and could not see a decimal. Would it be any better if they were calculators (graphing ones, of course)? 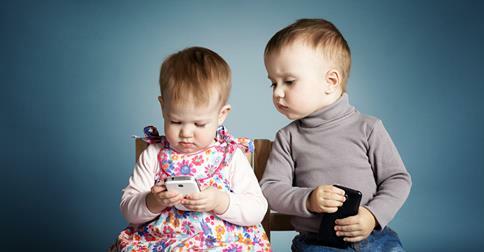 Why, oh why, are we burdening the youth of today with the associative law of addition? Adding three numbers corresponds in a one-many way to putting three bundles of things in a bag, mixing them up (optional) and counting them. It would be a sad day if the count depended on the mixing. No further comment from me !